I was delighted to take part in a Spend Matters webinar recently, hosted by its Managing Editor, Peter Smith. Peter raised some very interesting points, some of which had not even occurred to us at Roomex! During the course of his career, Peter has had considerable experience dealing with the travel category as a procurement manager with companies such as Dun & Bradstreet and NatWest Bank. He pointed out that while travel and hotel is a relatively small spend category for many businesses, for others, particularly in sectors such as financial services, media and professional services, or sectors where companies deploy large numbers of “blue collar” staff in the field, such as MRO and utilities, the spend can be highly significant. Often forgotten, public service institutions such as healthcare and social welfare also tend to have a lot of people out on the road with overnight stays. Hotel accommodation averages about 25 per cent of the total travel spend category. So, it should not be neglected. 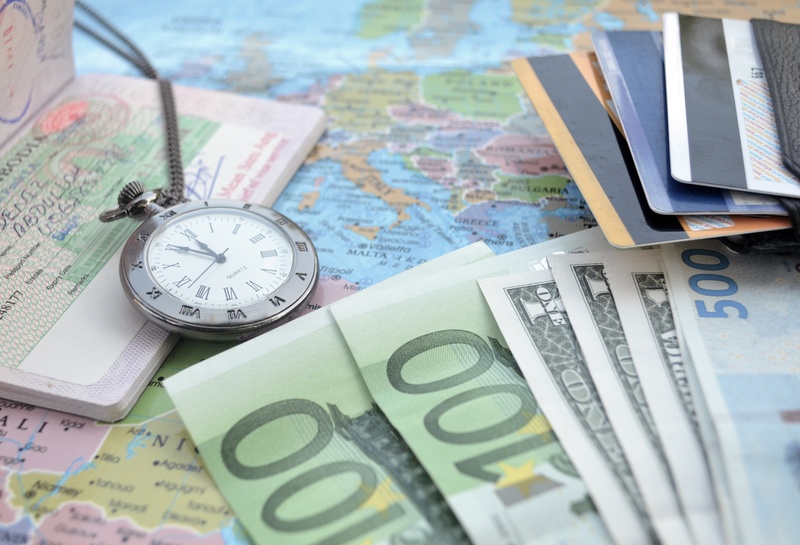 Even if small in terms of total spend, travel is also a highly visible spend category with global corporates that have top executives flying around the world. They expect the best quality service, wherever they happen to be. Peter recounted an amusing anecdote about a C-level executive’s office contacting him, in his role as procurement manager, to complain about being served a cold apple strudel! “What exactly do you expect me to do about it?” asked Peter. “Well he thought you might complain to someone senior” came the PA’s somewhat sheepish reply. The serious point here is that senior executives will often judge procurement, and how well procurement leadership is doing its job, based on the spend categories with which they have direct personal experience. Peter then pointed out that the transaction processing and admin time spent on travel and hotels is relatively high compared with the price of the services being purchased. The reason is that there are lots of separate, small purchases. Thus, you might be spending £50 on accommodation for one night, but the total cost of finding the right lodging, booking it, paying for the accommodation and, processing expenses and processing the invoice through the accounts system adds up to considerably more. (At Roomex we have calculated the total average costs – check out our value calculator). Then there is user satisfaction to consider, and duty of care – the duty employers have not to put their employees in difficult or even dangerous situations through inappropriate hotel selection. Meanwhile we have seen a complete revolution in the way we book travel and accommodation as a result of new online services. People are used to self-serving for travel services. One of the results is that hotels are more confident about filling their rooms and therefore corporate travel and procurement managers have less leverage when it comes to booking hotels. Of course, sometimes leaving it to the last minute to self-serve a hotel booking can deliver savings. But you would not want to gamble away a business opportunity, or your firm’s reputation as a result of not finding suitable accommodation on time. And it has become something of a lottery, as anyone trying to book a hotel on the eve of a big sporting occasion or event has found out to their cost. Procurement and travel managers must recognise that technology advances have had an impact on the expectations of business. They expect some flexibility on the choice of accommodation – for example they may be unhappy about always being booked into one particular chain that has preferred supplier status. On the other hand, simply giving travellers complete discretion to self-book (through online platforms, Airbnb etc.) is not a good strategy, as this means you will never get an important spend category under management. And not least, because organisations have responsibilities such as duty of care, protection of employees’ privacy (especially with GDPR around the corner) and risk management in general. Unexpected things do happen: as has become (regrettably) clear with all the recent random acts of terrorism. These conflicting challenges can only be solved with the help of technology that is adapted to the specific needs of business travel – technology that does not just get you a better headline price but addresses all of the other factors around cost, efficiency and value. You can find the entire webinar with Spend Matters here.